By what forces do some toys become classics? 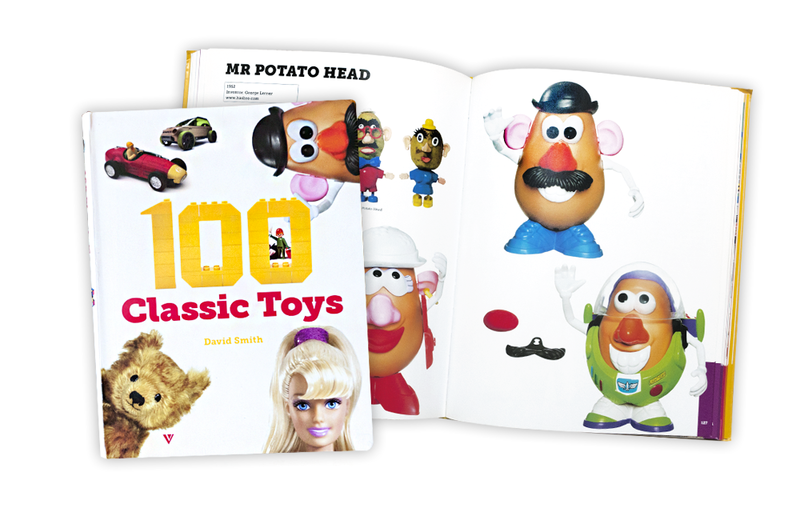 In 100 Classic Toys, author David Smith proposes three criteria: longevity, an ability to captivate generation after generation of children, and continued availability for purchase. Drawing on the insight he gleaned as the founder of UK-based consumer-focused toy news site, ToyTalk, Smith has organized 100 Classic Toys into seven chapters: Building toys, Games and puzzles, Activity toys, Role-play toys, Trucks and transport, Toys for making things, and Future classics. Using crisp, color photography and concise text, Smith delivers background about the creation of each toy and his thoughts on why each has become a classic. Toy collectors will also find information about the toy manufacturers and where the toys can be purchased. Smith’s toy selection ranges from the simple (balls, jump rope, kites, cardboard box, forts, and castles), to board games (Mastermind, Connect Four, Hungry, and Hungry Hippos), and action figures (Star Wars, G.I. Joe, and Fisher-Price’s Little People). Fans of UK-based toy history will be pleased that some of the book is devoted to classic toys from their region of the world, including Action Man, Corgi, and Stickle Bricks.